Slice for sandwiches, or dice and use as an ingredient. Perfect for serving either hot or cold. HORMEL COOKED HAM can be served hot or cold. 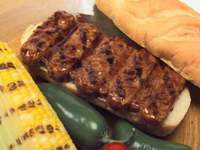 The product can be baked, grilled, broiled or fried. A to Z Portion Control Meats, Inc.